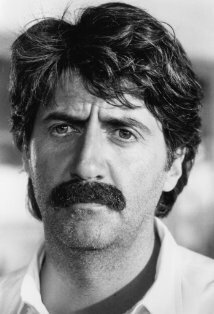 Tom Conti has been in 90 TV shows or movies since 1959. I don’t know if I’ve seen him, but I came across his picture the other day while obsessively combing through the cast list for The Dark Knight Rises. Some trivia for Tom: His mustache can take the place of a piece of velcro. This entry was posted in Character Actor, Movie Steesh, TV Steesh and tagged Actor, batman, character actor, Dark Knight Rises, Humor, Movies, Tom conti on April 24, 2012 by Los Bulls. That is one heavy mustache.